Bone metabolism is also referred to as bone remodeling and refers to life long procedure that entails the removing of mature bone tissues from the skeleton via the process of bone resorption and this leads to the formation of new bone issues in the body via the process of ossification. This is a process that controls the shaping and replacement of the bone during activities such as growth and as a result of injuries and micro damage that happens during normal body activities. Bone metabolism is also as a result of functional demands due to mechanical loading. This calls for the process of adding the bone where it is required and removing where it is not required. The rate of bone metabolism is high at children where during the first year of life, almost 100% of the bone structure which is the skeleton is replaced. In adults, bone metabolism proceeds at an approximate rate of 10% per annum. The process of bone metabolism requires several nutrients that are taken in as form of food and absorbed to the body. One of the major nutrients that are responsible for the formation of the new bones is vitamin A (John, 2002). 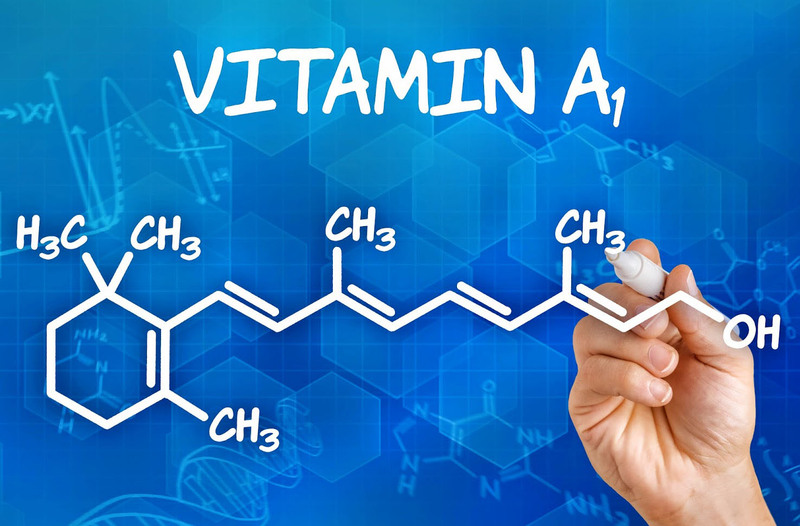 One of the roles of Vitamin A in the body is the bone metabolism. Bone formation in the body requires a diet of calcium in the body; calcium is present in vitamin A. The two major phenomena s that is associated with bone metabolism in the body of an organism includes the parathyroid-induced calcium mobilization and calcitonin-repressed bone calcium. These nutrients are present in the vitamin A diets, therefore deficiency in vitamin A results to the poor bone formation in the body of an organism. This deficiency results to abnormalities in the collagen metabolism and the bone mineralization, as a result of this, the bone maturation process is not completed. As a result, bones with the long and thick but inappropriately calcified bone and a hypertrophied cartilage are formed. The alkaline phosphatase depression in the plasma and the related depression of alkaline phosphatase of bone offer enzymatic evidence that the bone metabolism is certainly affected by vitamin A deficiency in the diet. Serum alkaline phosphate is decreased in hypovitaminosis due to the fact that alkaline phosphate is involved in the remodeling, matrix calcification and remodeling and the resorption of the bone (John, 2002). In a laboratory study by researchers to show the role of vitamin A in the bone metabolism, a study was carried out with hypovitaminotic-A calves, the researchers encouraged bone resorption by stimulating the parathyroid glands to hypertrophy with a high phosphate diet. The results were the presence of microscopic evidence that in vitamin A deficiency the rate of bone resorption by osteolysis was decreased, while bone growth was not affected. Additionally, they attributed the low serum alkaline phosphatase levels in vitamin A-deficient calves only to a decrease in bone resorption. There fore, it is important to note that the deficiency of vitamin A lead to poor bone resorption but not bone growth (John, 2002). According to John (2002) too much intake of Vitamin A is in the body as a result of consumption of very high amounts of vitamin A have major effects on bone, the liver and the skin. however, the findings of studies based at vitamin A intakes in normal diets are conflicting. One population-based observational study in postmenopausal American women found a relationship between high levels of vitamin A intake and hip fracture risk, and a similar population-based study in Swedish men found a relationship between blood retinol levels and the bone fracture in their bodies. Therefore, the intake of Vitamin A in the body should be regulated not to cause deficiency due to less intakes or side effects as a result of too much intakes in the body.